Hero Nani’s 23rd film, Jersey, had its official announcement a couple of months ago. 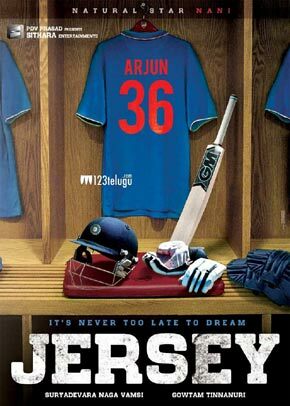 Jersey is a sports drama and Nani will be essaying the role of a cricketer named Arjun. The film’s regular shooting will commence after Nani wraps up Devadas. Now, according to the latest reports, Jersey is going to be an inspiring sports drama. The story has Nani playing a middle-class youth who gets selected for the Indian cricket team. Anirudh Ravichander will be scoring the music for the movie. Jersey will be directed by Gowtam Tinnanuri, who had made an impressive debut with Sumanth’s Malli Raava earlier this year. The film will be bankrolled by Sithara Entertainments. Stay tuned for more updates on this exciting project.